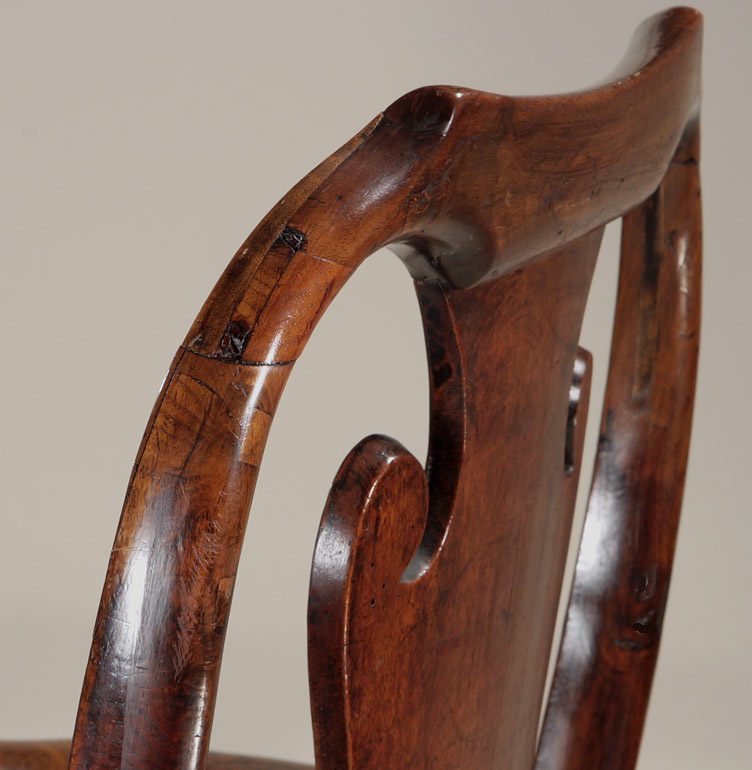 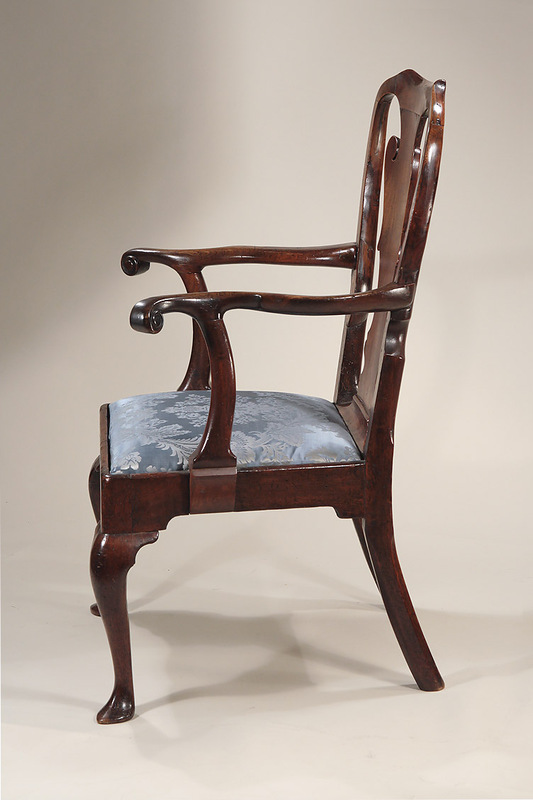 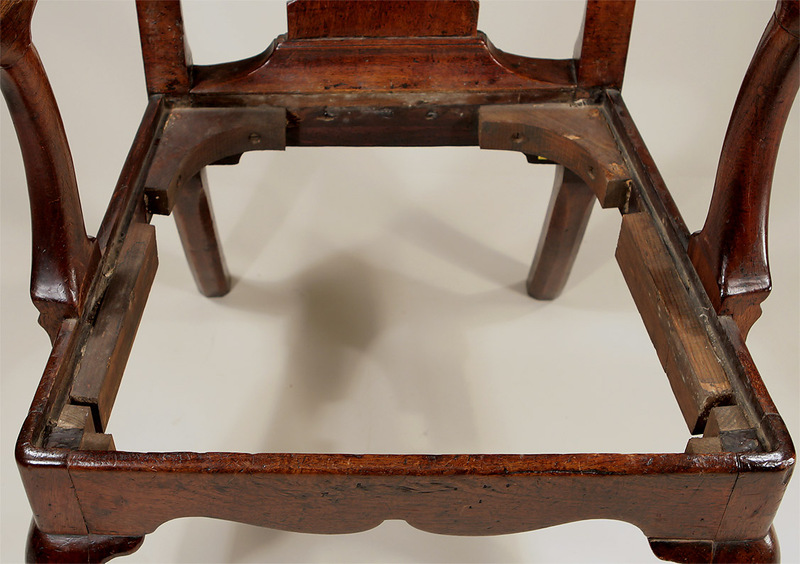 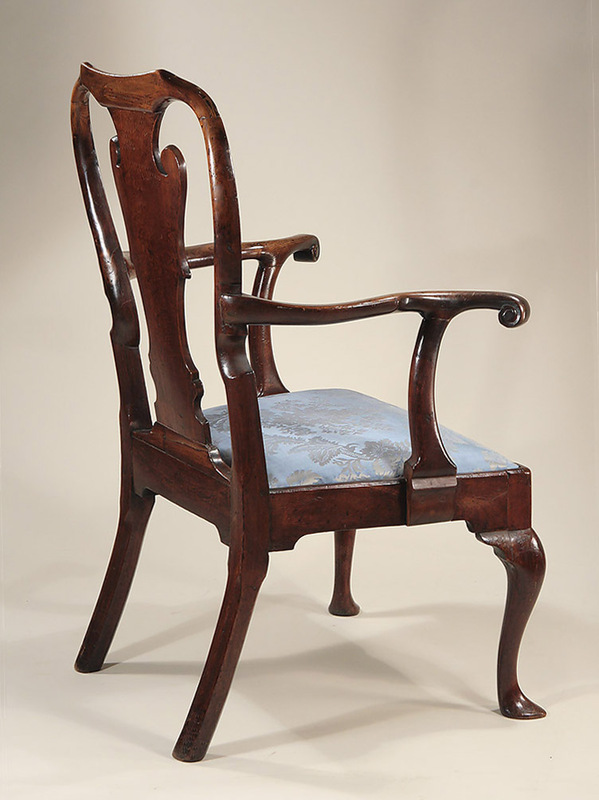 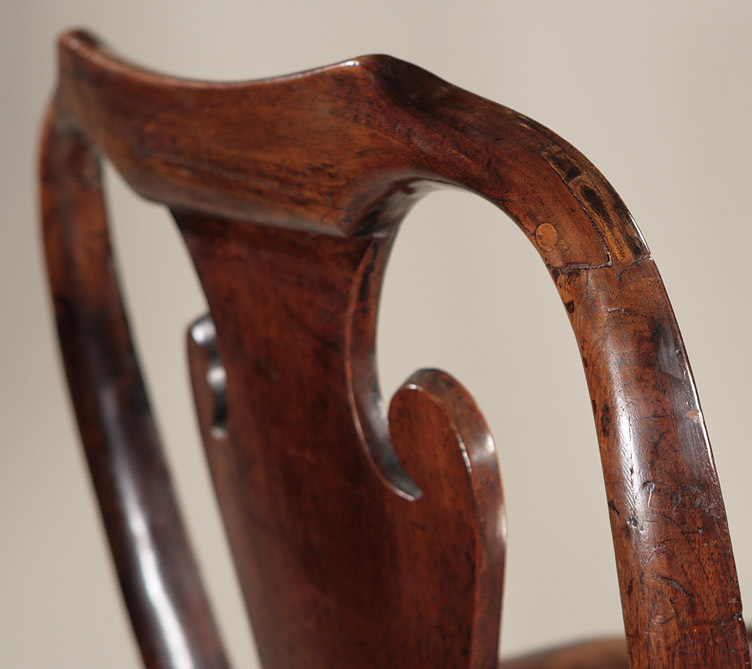 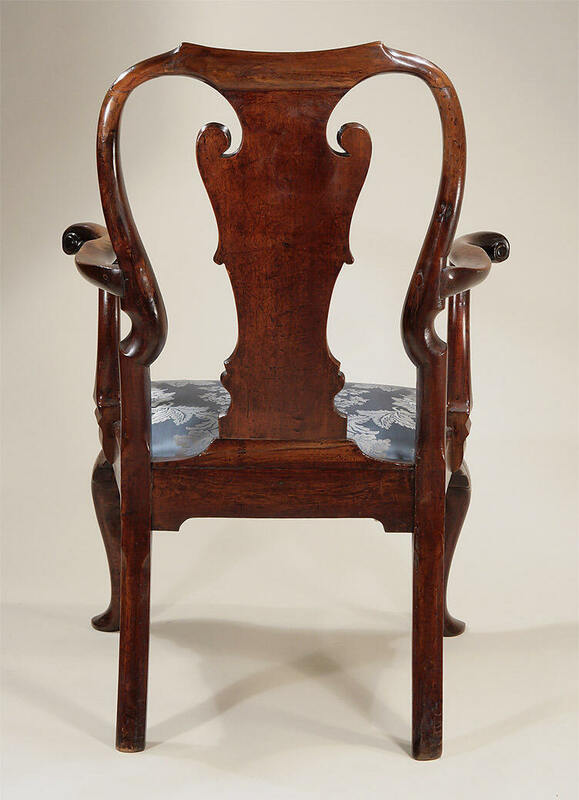 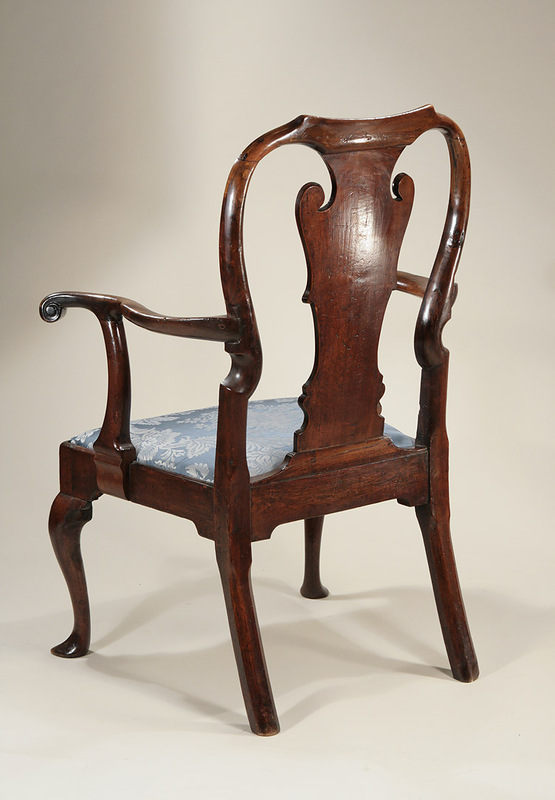 Open arms chairs are somewhat rare in the first quarter of the 18th century. 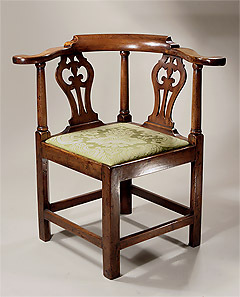 Many fairly faithful copies were made in the late 19th century – often marketed as 18th century. 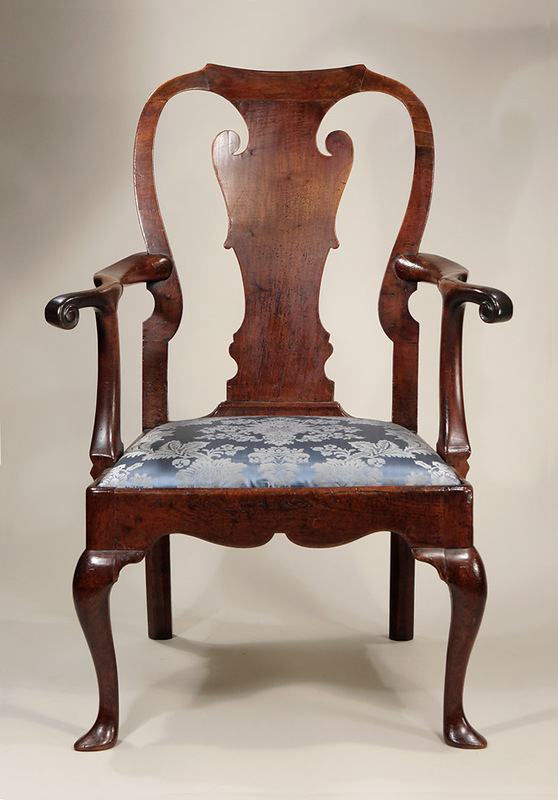 However this one is right in every respect. 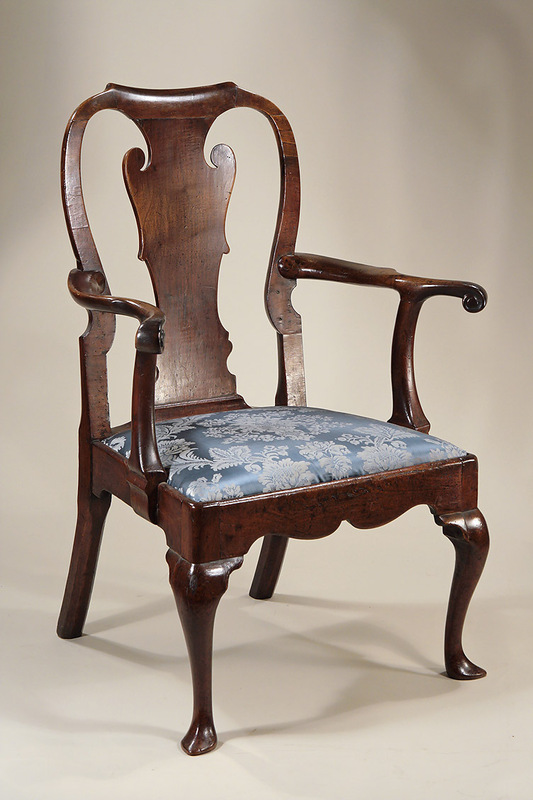 There is conjecture that this chair might be Irish, due to the size and snake feet. 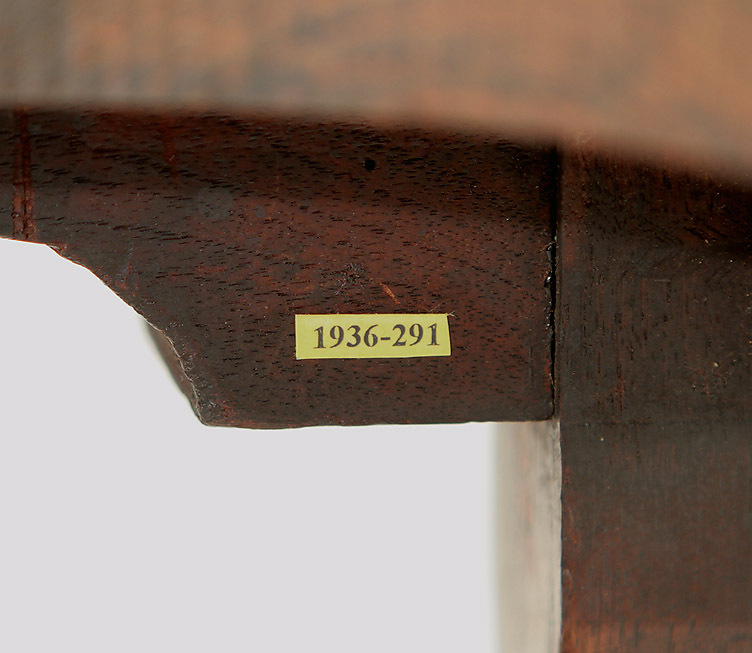 However, in my personal opinion, it is English.